Your campus stop for real food. You’ve probably walked by it uncountable times during your stroll down Bancroft Way. Have you ever stepped inside? What’s with all the food-related puns? 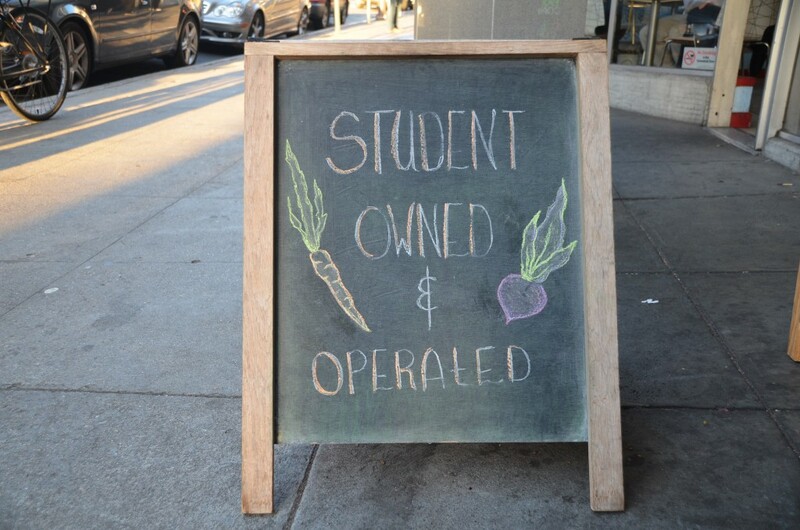 Let’s get to the bottom of the Berkeley Student Food Collective and start our food adventure! The Collective purchases its products based on the “Real Food Challenge” guidelines. The Real Food Challenge is a movement that unites and encourages students to eat just and sustainable food. The four guidelines aim for food that is: local and community-based, fair, ecologically sound and humane. Each item sold by the Collective fulfills at least two of those guidelines. For example, all of its produce is grown organically within 200 miles (the only exception is its avocados, which are still organic, but come from a farm near San Diego). For more background on the Collective, read here. When I walked into the Collective, I was greeted by its array of fresh produce. The rainbow chard and apples looked especially appealing. 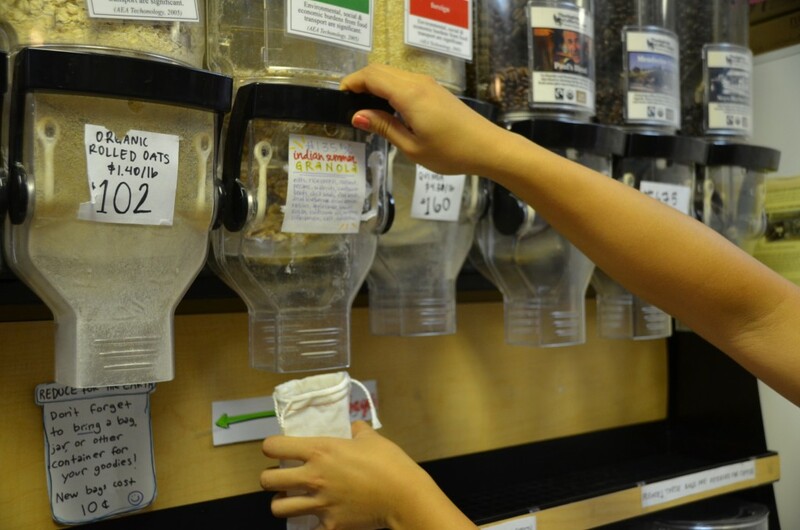 Next, I eyed the bulk snacks, nuts and dried fruit bins. I perused the wide selection of packaged goods and toiletries and ended at the grab-and-go refrigerated items. I also peeked in the back to see a veggie stir fry with tamarind sauce being prepared by a volunteer just in time for the lunch rush. Let me say, this place is a haven for the adventurous eater! 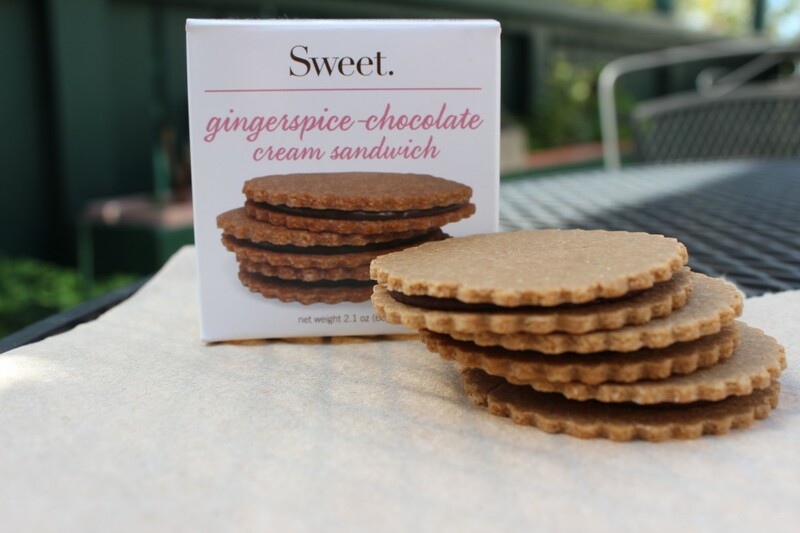 The nori-wrapped energy sticks and tortilla-like coconut wraps caught my eye; the chia chunks and gingerspice chocolate cream sandwich cookies were also a sight to behold. 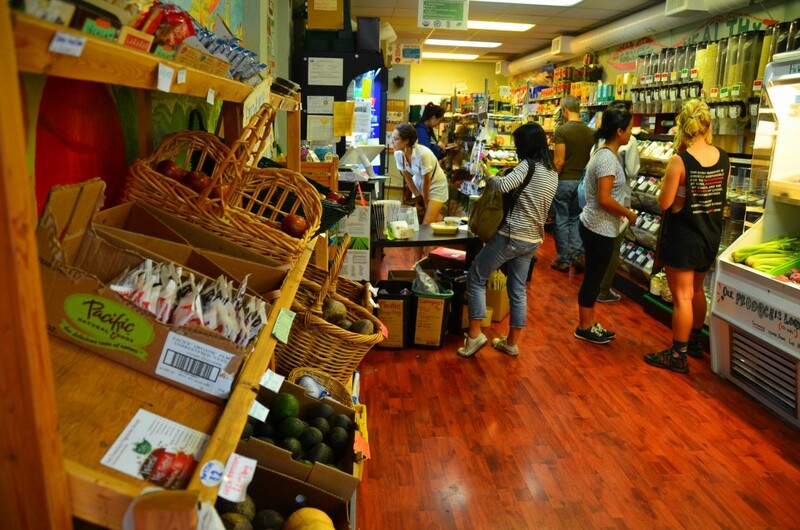 It’s also a great place to get staples like pasta, sauces, spices, chocolate, eggs, milk and butter. The Collective carries Annie’s boxed mac and cheese, as well as Revolution Food’s cheese pizza meal kit, which is the equivalent of an all natural pizza Lunchable! For lunch, I tried the red quinoa sushi. My verdict: super tasty and energizing. 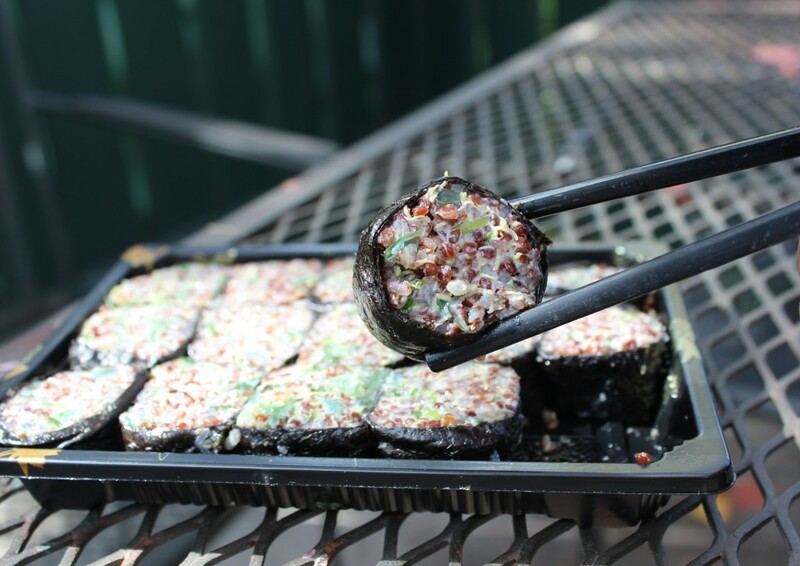 Each piece was a delectable little package of red quinoa, fresh seaweed and cilantro wrapped in nori. I’ve already made a list for next time. My future lunches include: the enchilada burrito, spicy lemon tofu strips, spiced apple kambucha and the BBQ tofu burger. In terms of affordability–it’s owned and operated by students–so of course, the Collective is looking out for your wallet, too. If you’ve ever wondered about the food puns outside the Collective’s door, I can tell you that these are just fun ways to announce its new arrivals. So, next thyme you’re looking for some grub, stop by the Collective. 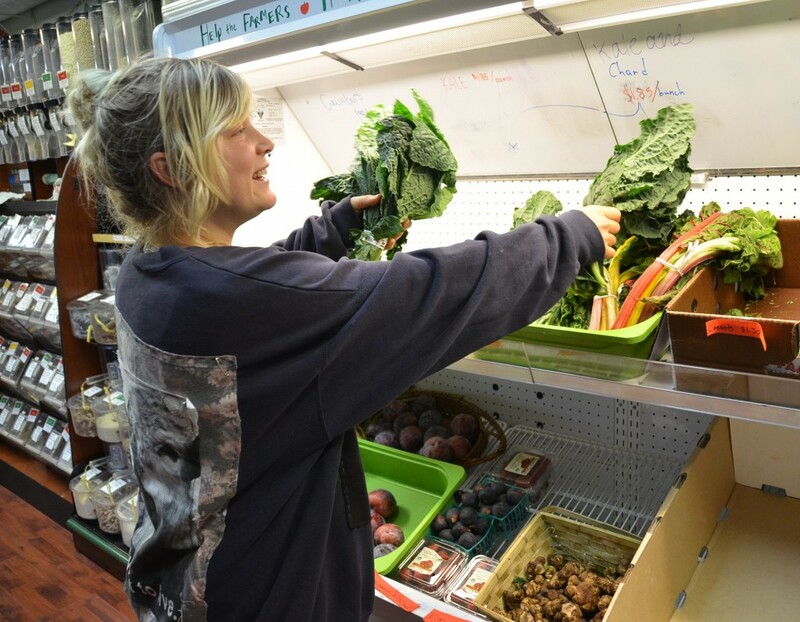 Check out the Berkeley Student Food Collective on Facebook! Interested in volunteering? Go here. Special thanks to Megan Svobada, Operations Manager at the Collective, and Kitty Jones, a Collective member, for the interview.